Citroen didn't expect to sell many C6s in the UK, which is just as well because in the half-dozen years it was available, fewer than 1,000 examples found homes. The C6 offered executive car buyers an alternative to the mainstream, but potential owners were put off by the spectre of reliability issues and horrific depreciation. The C6 has proved to be reasonably reliable, and while you won't enjoy the cast-iron build quality of German rivals, if you're looking for an unusual executive saloon, you don't get less predictable than here. 5/06: The C6 debuts with 3.0 V6 petrol or 2.7 V6 diesel engines. Trim levels are C6, Lignage or Exclusive. 10/06: There's now a 2.2HDi option. 8/09: The new range-topper is a 3.0HDi engine. 8/10: A wi-fi option is now available. Front suspension ball joints fail on early cars, when water gets in. A new design was fitted from 2009. Listen for chattering on cornering, signifying worn wheelbearings; they can be weak. ABS warnings aren't necessarily because of brake problems; the sensors can be faulty. The fuse box in the engine bay can play up, although replacements are rarely needed. On high-mileage cars suspension spheres can fail, affecting the ride quality. A 'depollution error' message doesn't mean the DPF is at fault; the message can cover an array of other potential issues. The 3.0HDi is noticeably smoother, torquier and more frugal than the already excellent 2.7HDi, but these later cars are very rare. Some car makers are just rediscovering interesting car design, but Citroen started a while ago - its C4 is the proof. Always strong on value, with low prices and lots of kit as standard, the original C4 came practical five-door or stylish three-door coupé forms. With a raft of engines and trim levels, there's something for everyone, but reliability can be an issue. 10/04: The Citroën C4 arrives in five-door hatchback and three-door coupé forms, with 1.4 or 1.6 petrol engines, or 1.6 or 2.0HDi (turbodiesel) powerplants. The smaller diesel engine comes in 90bhp or 110bhp guises. 7/06: The Cool special edition debuts, and the 1.6 HDi is now available with a semi-auto gearbox. 1/07: The By Loeb special appears, with 1.6 or 1.8 petrol engines. 3/08: The Cachet limited edition debuts. 9/08: A facelift brings a revised nose and tail, extra standard equipment, fresh colours and wheel designs plus two new 1.6 petrol engines; 120bhp and 150bhp turbocharged units. 1/09: The Airdream+ limited edition arrives. 3/09: Another By Loeb special arrives, with 1.6 petrol or diesel power. Wiper blades come adrift, then scratch the windscreen. The electrics and electronics play up, especially the dash displays, radio and electric windows. Look for loose or broken interior trim. Glove box lids fail too. Air-con compressor drive belts fail. Dual-mass flywheels eventually fail; cars used in the city suffer most. The rear shock absorbers can prove short-lived. The paint can peel off the rear spoiler. Water gets into the front and rear lights. Citroen's strength has long been its small cars, and if you're looking for convincing evidence, the C2 provides it in spades. Great aesthetically and dynamically, the C2 took over where the Saxo left off, designed for youth appeal but actually finding a much wider audience. It's not hard to see why; eminently affordable to buy and run, the C2 makes perfect urban transport, but can cope with so much more. 9/03: The C2 arrives with 1.1, 1.4 or 1.6-litre petrol, or 1.4-litre turbodiesel engines. 12/03: The 1.6 GT appears. 5/04: ABS is now standard, and the Ministry of Sound special debuts, with an upgraded stereo. 8/04: The 1.6 VTS reaches showrooms. 12/05: The C2 Stop & Start arrives. 1/07: The Airplay, Code and by Loeb special editions are released. 7/07: A C2 1.6HDi VTS joins the range. 6/08: A facelift brings a new bonnet, bumpers and grille. On 1.4HDi engines, the cam belt tensioner can fail, so listen for a whirring/whining sound. On the 1.6 VTS, the inlet manifold bolts can fall off. Some of the interior plastics are flimsy and the fit and finish is inconsistent, so expect squeaks and rattles. Catalytic converters can prove fragile, so put the car through an emissions test to make sure it's working. The engine can run erratically, and either rev or cut out when left to idle; it's usually an ECU software update that's needed. 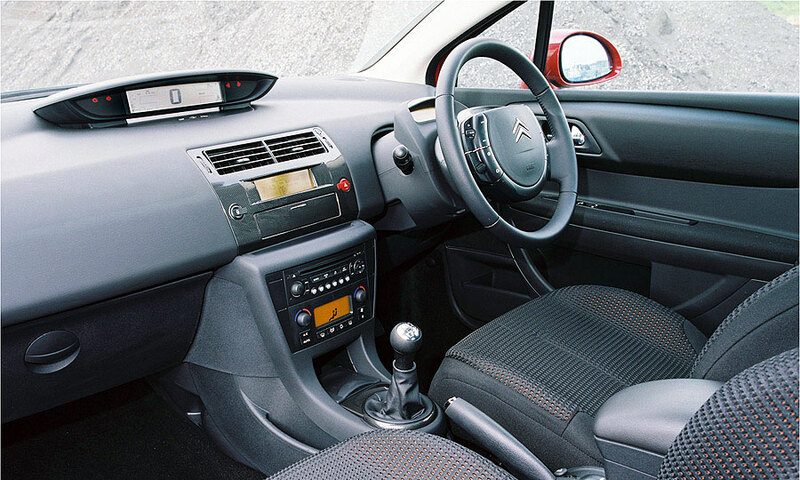 The C2's electrics can be temperamental, so make sure everything works, including the radio, windows, wipers and lights. 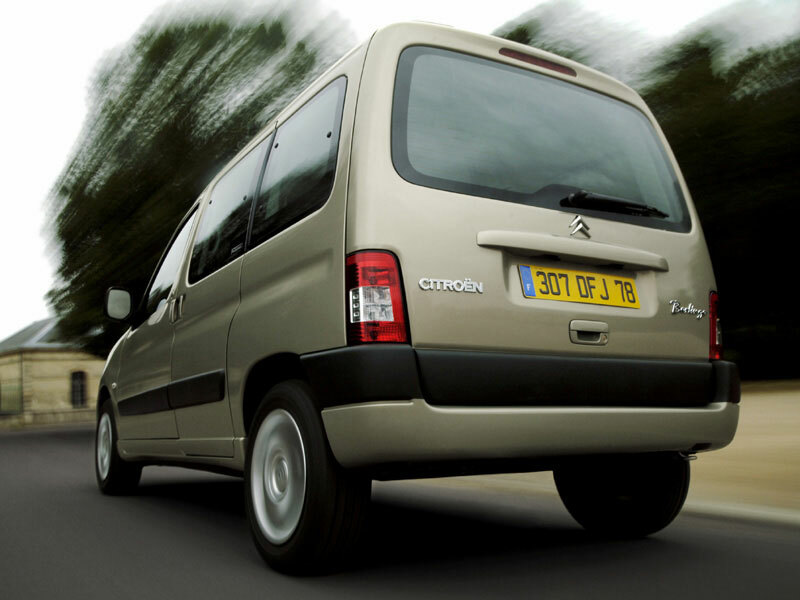 Enjoy your own slice of France with this van-based family car that offers superb flexibility and practicality, and it's not bad to drive either. Most examples are plasticky and fairly spartan, but when it comes to carrying people or luggage, the Berlingo is just the ticket thanks to acres of space and large numbers of cubby holes. 4/99: The Berlingo Multispace arrives with a choice of 1.4 or 1.8-litre petrol engines plus a 1.9-litre diesel. 11/00: There's now a 1.6-litre petrol engine available. 1/02: A 110bhp 2.0HDi (turbodiesel) joins the range. 10/02: A facelift brings a redesigned nose and dash. 5/04: Anti-lock brakes and a passenger airbag are now standard on all models. 10/05: A 1.6HDi (turbodiesel) is introduced in 75bhp and 92bhp forms. 6/06: The Berlingo XTR debuts. The rear suspension pivots can wear, and repairs are costly. Using the windscreen washers in frosty weather tends to blow fuses, leading to wider problems in the multiplex wiring. Instruments can play up because of the multiplex wiring, but this is rare. Some early cars can suffer from broken springs in the front suspension. Check the service history of HDi models; if the timing belt has been replaced, so should the rubber cushioned timing belt pulley have been, at the same time. Gear linkages on petrol cars can fall apart; check for play in the gearchange. Water can leak into the cabin, flooding the ECU, so check for dampness.